What is biodynamic dance ? 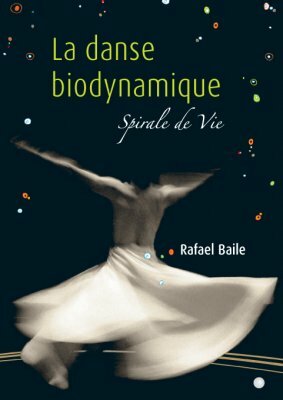 The book "La danse Biodynamique"
In the tradition of biodynamic psychology(*), Rafael Baile tells us the fantastic adventure of Biodynamic Dance through his own story. After an injury, Rafael Baile had to put an end to his career as a dancer. He went on a spiritual journey and became a therapist. By reading several amazing experiences he had, we are lead to understand the stages that enabled him to create and then later, develop the tenets of Biodynamic Dance. Biodynamic Dance (meaning in the move of life) is an approach of dance focusing on the energetic dimension of movement. Movement is expressed through inner feeling rather than outward or artificial form. By working on body awareness, Biodynamic Dance may highlight our shadow side, nevertheless it is a dance in its own right. We are moved and touched by its genuineness, by its depth, as well as the original beauty of each dancer. Biodynamic Dance is a “natural” approach to dancing, a combination of dance and psychotherapy practice. It shows how dancing can remove our blocks and fears. According to the author’s definition: he sees himself both as a body mechanic and a movement surgeon. This easy-to-read handbook provides a renewed vision of dance, a genuine story, as well as detailed exercises. Rafael Baile, the founder of Biodynamic Dance, is a professional dancer (a former soloist of the Ballet Théâtre d’Aquitaine) and body psychotherapist (a graduate of the Biodynamic Psychology College of Montpellier – France). He trains biodynamic dance instructors and practitioners as well as biodynamic dancers. You will find this book on internet, on the website of Les Editions du Souffle d’Or.